Join us at Mixed Berry Yogurt in Phoenixville (near the Giant) on Thursday October 30th from 3 to 8PM. Mixed Berry Yogurt will donate 20% of the group sales to our school! Flyers will be coming home in the backpacks this week or you can click on the title above to view and/or print it! We hope to see you there! On January 25th from 1-3pm Home and School will be hosting an afternoon of celebrating diversity by tasting food from other countries, watching some international dancing, creating cultural crafts and having fun with other HFS families and friends. Home & School needs your help to make this event a success! Please click on the title above to find out more information and to see how you can help! From the Home Page please click on the title to go to the PKSC Task Force Page for updated information. On the PKSC Page the complete document list can be found on the right. CYO Winter Sports Registration Now Open! 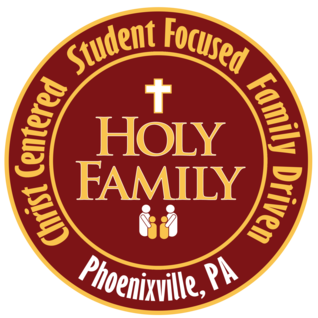 Registration is now open for Holy Family CYO Basketball and Cheerleading. Basketball - boys and girls, grades 3-12. Cheerleading - girls grades 1-4. Deadline is November 1, with discount until October 15. You can register at www.hfscyo.com.